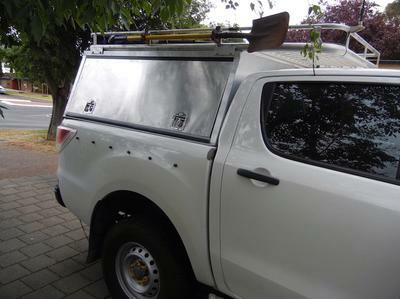 I bought this Mazda dual cab 4WD new in April 2012, having had two GU Patrols (& a heap of other 4WD's) previously. Its appeal was that it was new, had an excellent launch review, was diesel, was comfortable, and on a test drive towed my trailer with ease. My aim was to create a reliable tourer which could carry 4 to 5 people plus a full load at speed on highways and slow in the bush. 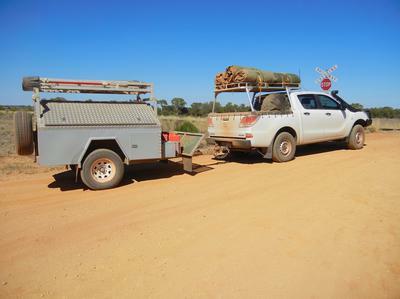 That meant, from a load carrying perspective, a vehicle with a GVM which could meet this load and weight criteria - in other words, a dual cab ute. I also wanted to keep everything as simple as possible, which meant no 12 v water pumps and so on. Less is more, if ya get my drift. It seems I can get myself out of most a mechanical jams, so I needed to retain that feature, realising that if it was an under bonnet electrical or major mechanical issue, I was going to suffer anyway. I have essentially only used the Mazda as a desert tourer, and for the first 80,000 km it, and I as driver, were in all 10 deserts working with two tour companies. It did some very hard yards - I s'pose that's metres, but it sounds better in yards. Why a Mazda? Well, $25,000 reasons why Vs a Tojo, and for a 4WD which was easier to drive, far more comfortable, quieter and had very similar torque, power and payload. Immediately after purchase I installed ARB suspension, springs & shocks; 300 kg constant in the rear. At 110,000 km I replaced the tired rear leaves with a new set of 600 kg constant rated ARB springs. The 4 shocks are still OK after 120,000 km. I've got an ARB bullbar, side rails, sidesteps and underbody protection. I installed a towbar, snorkel, snorkel socks, window tinting, seat covers, Lightforce HID spotties, secondary fuel filter and hilift jack mounts off the towbar. And I carry a second spare on a steel rim, along with an 8 tonne hydraulic bottle jack, and sometimes a hilift jack. Originally I fitted a tubliner and had a custom made roof rack & second spare wheel mount; I used to carry seven swags on the roof & tow a 1.5 t supply trailer. That morphed into a custom alloy canopy, mounted on the tub. But, as many of us know, you can't seem to stop modifying and adapting your gear. Two years ago I bought a chassis mounted canopy from Trig Point. It's really well made and also has a 70 litre gravity outlet poly water tank under the canopy floor. It's only 1700 long - a great feature as it helps to prevent overloading! With the benefit of hindsight, I should have installed this canopy on day one. I enjoy cooking and catering on a fire, so my current set up features that aspect. A key is the upright 65L fridge. Way better than the previous chest-style fridges with slides and drop downs - cheaper, too! If going remote, I carry a full 18 Volt drill/angle grinder/rattle gun set. Normally I carry just electrical spares, sockets, open-enders, ringies , screw drivers, pliers, hammer etc. If a wheel bearing goes, it's not repairable out there anyway (another reason why I travel with another 4WD). Fave areas include Gibson Desert & the Great Victoria Desert. I've driven the CSR eight times, and I enjoy the Tanami, and pretty much anywhere in the NT. The far north of SA and the Oodnadatta Track are hard to better. I use an iPad 2 for maps & especially 1:250,000 topo maps (I don't really need an electronic navigator). 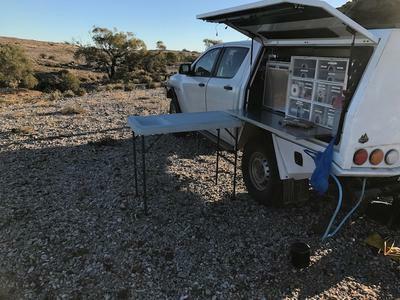 The screen is large and easy to read whilst on rough tracks and it is mounted to the windscreen with a 3 suction cap RAM mount, which surprisingly never comes loose. I carry extra fuel as needed in jerries. If needed (I'm a swag camper) an RV5 OzTent sits on the roof. The major issue is to continue to keep under GVM. A GVM upgrade would only grant another 130 kg, so it's not economically worth doing.